In love with Formula 1: Bahrain GP / Qualifying: Sebastian splits the Mercedes! Bahrain GP / Qualifying: Sebastian splits the Mercedes! Me and my family had been invited to a relative´s birthday party today but luckily I managed to get home right in time for the qualifying. The night was already darkening at Sakhir. I love these night races! The artificial lights make the F1 cars look even more magical than in daylight. The setting at Sakhir is so perfect: I love that little pond next to the circuit with those alight palm trees! I wish I could experience all that live some day! Q1 was business as usual: almost all teams made their first runs on the harder compound of Pirelli tyres. Alonso in his McLaren set his fastest lap time on the soft tyres and managed to make it as high as P9! That showed McLaren had clearly managed to take a step forward. Although Alonso´s team-mate Button had a disastrous qualifying: his MP4-30 quit even before the Briton had set a lap time. Sebastian at the wheel of his SF15T came out not until there were only 6 minutes left in the clock. The German made his first and only run on the soft tyres but Sebastian seemed to be a bit lost with his rhythm. Kimi had made his first attempt on the harder tyres but the Iceman had locked up his tyres which caused flat spots on his front tyres. On his second attempt the Finn made his way up to P5. In the first session the Williams drivers looked dangerously competitive: Bottas split the Mercedes duo, Hamilton being the faster one of the Mercedes team-mates. Maldonado in his E23 suffered from an engine issue and the Venezuelan was the first one to miss out on Q2. Kvyat was out of the second session as well, which was a huge disappointment for the Russian Red Bull driver. In Q2 Hamilton showed that once again it was hammer time: the Briton nailed a magical lap time, which made him 1,2 seconds faster than his team-mate Rosberg! To be honest, I was a bit worried about Rosberg. He has been so tame this season! He seems to be somehow lost in the battle against Hamilton. This time it was Kimi splitting the Mercedes duo! Ferrari´s pace looked very convincing, especially because Kimi had set his fastest lap time on the used set of soft tyres. Grosjean in his Lotus made a great impression as well being 7th fastest of the second phase. What caught me by disappointment was to see Toro Rosso´s Verstappen being knocked out of Q3! The Dutchman had had brake issues during the free practices and in the qualifying he had some under/ oversteer issues but in the post-qualifying interview he didn´t want to use them as an excuse to not making it into Q3. His team-mate Sainz was 10th fastest and barely made his way into the final phase of the qualifying. Force India´s Perez, both Saubers and Alonso were also out of Q3. When Q3 got underway the Ferraris were the very first to come out on track. After the first attempts Hamilton had a firm grip on the pole. Ricciardo in his Red Bull was second but the Australian was the only one, who had set his lap time on a fresh set of soft tyres. There was absolutely nobody who could challenge the British Mercedes driver for pole today. But what was absolutely delighting was the fact that Sebastian managed to split the Mercedes and make it P2! Kimi drove the best qualifying of the season and qualified in P4 being 3 tenths of a second slower than his team-mate Sebastian. The Iceman had already beaten his team-mate in Q2 but when the times really mattered, Sebastian managed to nail it. The Williams duo locked the third row Bottas being the faster one of the Williams team-mates. Ricciardo qualified 7th, Hulkenberg 8th, Sainz 9th and Grosjean 10th. The starting positions for tomorrow´s race are absolutely pulsating: a Mercedes-Ferrari battle will feature large in tomorrow´s race. It´s so thrilling to see if Sebastian will be able to challenge Hamilton for the lead coming to the turn 1. Hopefully Kimi will take as electric a start as a week ago in China and will get past Rosberg on the opening lap! In hot conditions like Malaysia and now Bahrain Ferrari really seem to be flying! In Malaysia Ferrari had a clear advantage over Mercedes in terms of tyre degradation but I don´t know if the same implies in Bahrain. 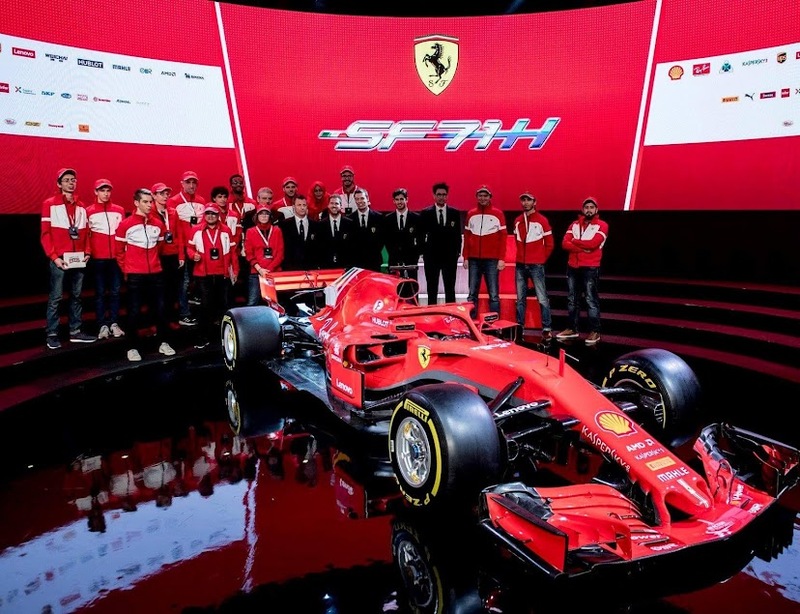 Ferrari´s race pace on the long runs has been even better than that of Mercedes so I´m sure Mercedes will face a clear threat from the red cars tomorrow. It would be such a fascinating thought to see Ferrari take a 1-2 under the bright lights of Sakhir. But I definitely want to see the Iceman on the podium!